Our pain physicians have trained at some of the best hospitals in the world. Get one-on-one attention from providers who offer compassionate care and cutting-edge treatments. We diagnose and treat a wide range of pain conditions. From migraines to pinched nerves, we have the experience you can trust. We feel fortunate to have so many satisfied patients. Find out how we have helped people overcome their pain and get back to loving life. We offer convenient appointments for your busy life. 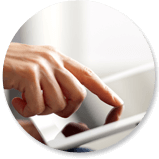 Request an appointment online today or contact us by phone. Welcome to Pain Consultants of Arizona, Phoenix’s most reputable center for the treatment of acute and chronic painful conditions. Although the name is new, Dr. J. Julian Grove, Dr. Peter Kubitz and Dr. Tony Bui have been treating back and chronic pain patients in the Valley for nearly a decade. With training at facilities such as Stanford, Mayo Clinic, and Brigham and Women’s/Harvard Medical School, they continue to bring a higher level of care to thousands of patients afflicted with pain in the Phoenix / Scottsdale area. 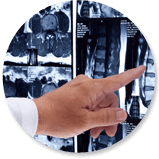 Utilizing cutting-edge technology combined with multi-disciplinary pain management techniques that include interventional, pharmacologic, physical therapy/rehabilitation, and psychological protocols, they work with you to create personalized treatment plans to treat your pain. Whether your pain is the result of a car, home, or work-related accident; sports injury; cancer; or a combination of causes, our pain management doctors will find the source of your discomfort and work with you to find the best possible way to relieve your pain. The specialty of pain management has exploded in recent years. Treatment options have certainly expanded, yet chronic pain remains a very difficult condition to manage. Unfortunately, many patients are exposed to unnecessary treatments that are not likely to help, which adds to the feeling of frustration – feeling lost and losing all hope for improvement. 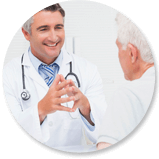 Dr. Grove and Dr. Kubitz see the disappointment and are here to work with you to personalize your care so you can receive optimal results. Whether you suffer from low back pain, neck pain, sports injuries, headaches, or any other kind of pain, call Pain Consultants of Arizona today at 480-222-PAIN (7246) or request an appointment online. Phoenix pain management doctors provide treatment for chronic pain, acute pain, migraine, sports related injury, tendonitis, shin splints, fibromyalgia, peripheral neuropathy, phantom limb pain, degenerative disc disease, herniated disc, sciatica, spinal stenosis, cancer pain and more. Dr. Julian Groveand Dr. Peter Kubitz offer non-surgical and interventional pain relief treatments including steroid injection, spinal cord stimulator, nerve block, and Botox.